This year I decided to go with non-traditional colours for my Christmas designs. I love how rich purple is. The fact that it goes well with either silver or gold just gives more reason to use it for Christmas! 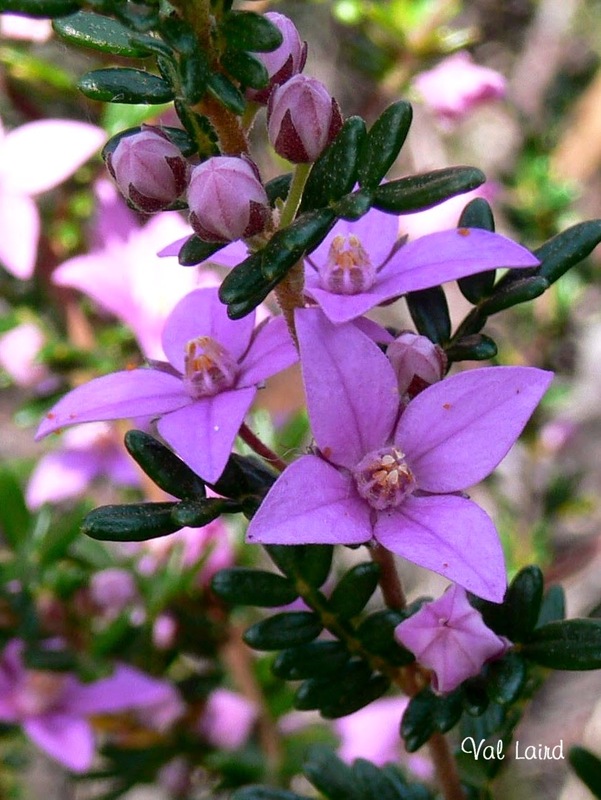 Then, of course, Radiant Orchid is the Pantone Colour of the Year so that was inspiration enough. I had so much pleasure in making this design. I'm very fond of felt and using it for applique is just a delight. We live quite a distance from any craft stores, so I rely heavily on what is in my cupboards when I'm producing projects. I was very disappointed when I went looking for some gold star charms to top the trees and found nothing in my stash. I was thinking I would have to embroider some when I had the brainwave to look in the button drawer. 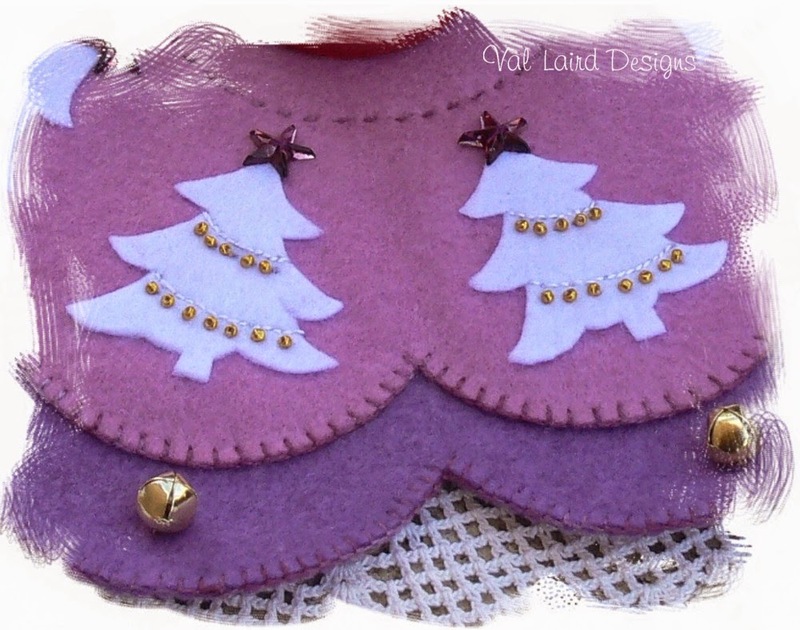 To my delight, I found eight purple star buttons which were just perfect for finishing off the trees. 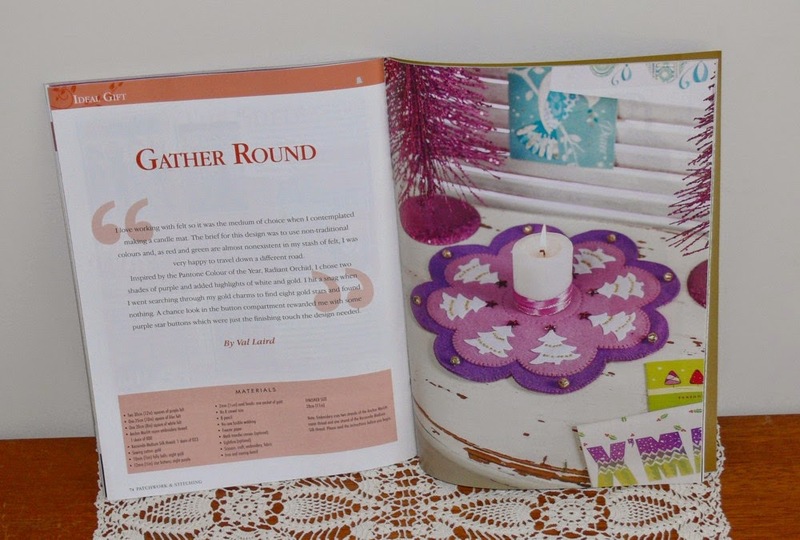 You can find the pattern in the latest Patchwork & Stitching magazine Vol 15 No 11. The purple looks great Val. Another lovely project. How adorable. 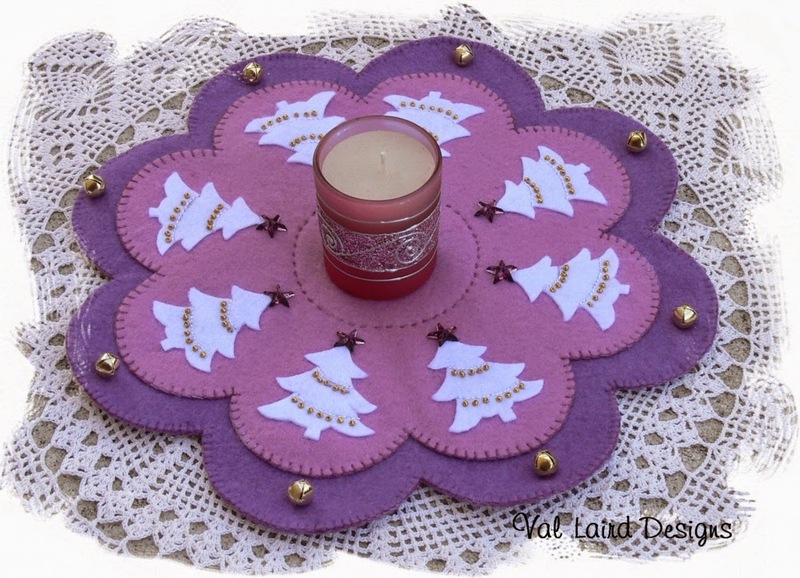 I love making candle mats, and purple is perfect! Glad you returned home safe and sound. Hope you had a funderful time away. Nice idea to change Christmas colors to what is a favorite...love the candle mat. That mat is so adorable. And, I do love Purple. M'agraden molt tots els teus treballs! What beautiful flowers! Thanks for sharing a little springtime in Australia. I love the candlemat design and the purples you chose are great Christmas colors. How serendipitous that you had the purple star buttons.